Welcome. 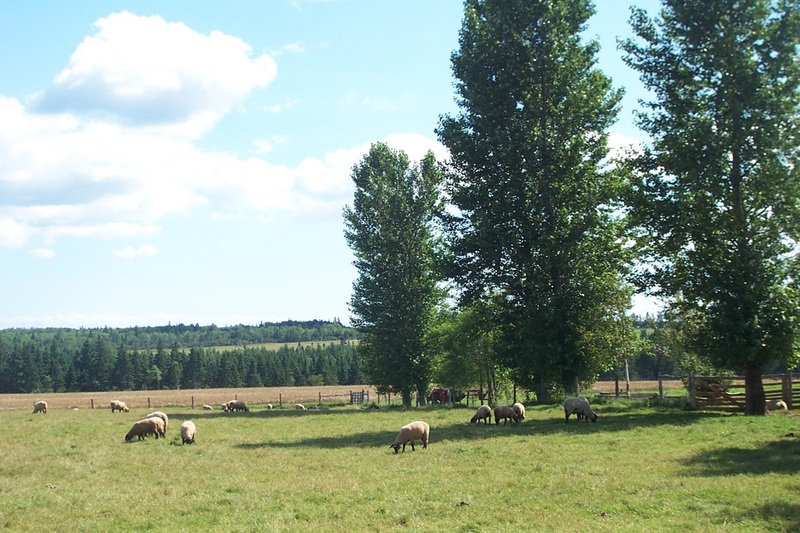 Springwater Farm is a true working family farm. We specialize in delicious fresh, local lamb. Our products are available year round at the Charlottetown Farmer's Market. In the summer we have an on farm store we call the Shepherd's Nook where we sell lamb, PEI Wool Blankets and yarns, and sheepskins we have tanned ourselves. We grow hay and sell square bales of hay and straw along with raising our own sheep. Come and visit. We'd love to see you. We're George and Melaney, and daugters Ila and Rae Matheson.